This summer I was given the opportunity to spend nine weeks in the beautiful seaside city of Dar es Salaam, Tanzania. Upon first arriving in Tanzania on May 28th, I attended the week-long Southern Africa Metrics and PIIRS Training conference. 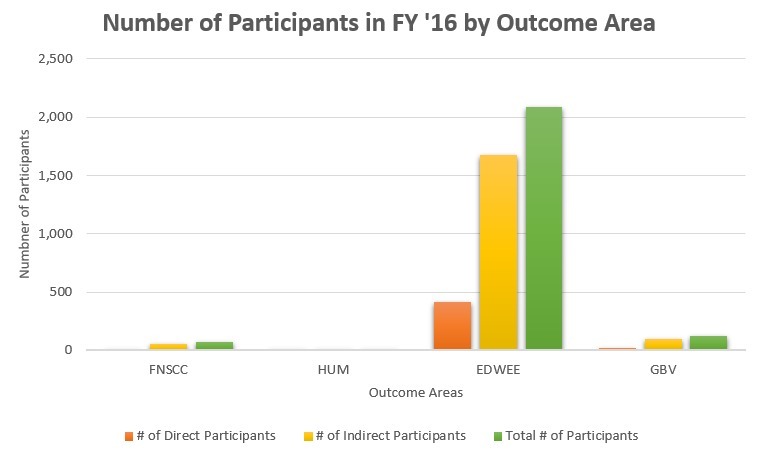 At this educational event, Monitoring, Evaluation, and Learning (MEAL) staff from Tanzania, Madagascar, Mozambique, Malawi, Zambia, and Zimbabwe were in attendance. Throughout the conference MEAL team staff engaged in discussions about global indicators for the CARE 2020 Program Strategy, the new PIIRS FY ’17 form, data visualization, and challenges of reporting impact data. This proved to be an excellent chance for me to meet some of the Tanzania office staff and gain insight into the challenges they often face. The week following the training I began reporting to the country office. While a 7:30 am- 5:00 pm work day seemed daunting at first, I quickly learned that waking up every morning to a gorgeous Tanzania sunrise wasn’t so bad and that Fridays are only half-days. 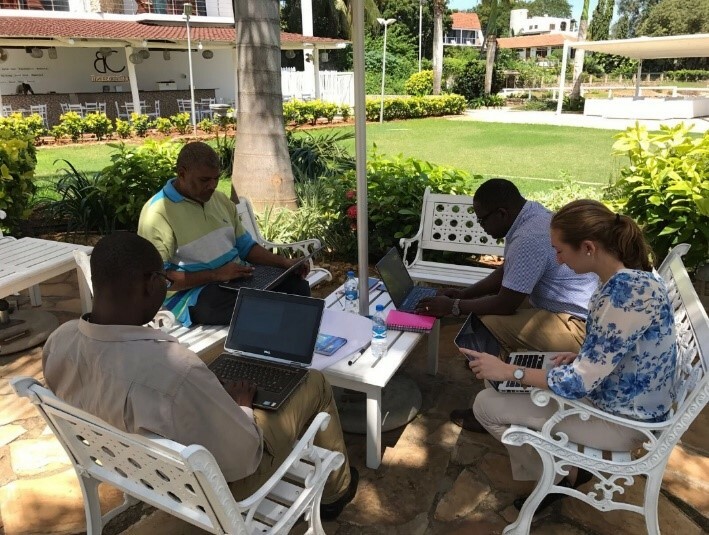 During the past 4 weeks in the Care Tanzania office I have been working closely with the Monitoring, Evaluation, and Learning team and Project Coordinators to assess the active projects and prepare for Fiscal Year 2017 PIIRS data reporting. The goals I have for my time here are to 1) increase staff understanding of the CARE global indicators along with the gender, governance, and resilience markers 2) emphasize the need for strong evidence when reporting impact and reach data 3) assist project staff in aligning current project indicators with the CARE global indicators and 4) ensure a smooth season of PIIRS reporting. I also hope to provide the country office staff with the tools necessary to effectively train future staff members and with examples of visualizations that can be used to exhibit their valuable contributions. 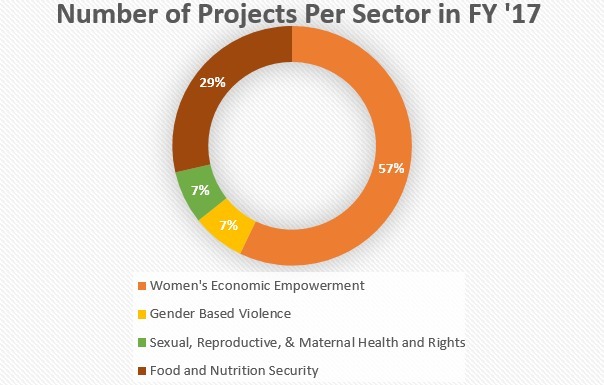 Thus far, I have been able to conduct indicator mapping and project mapping and assess the gender and governance marker scores of all active projects. 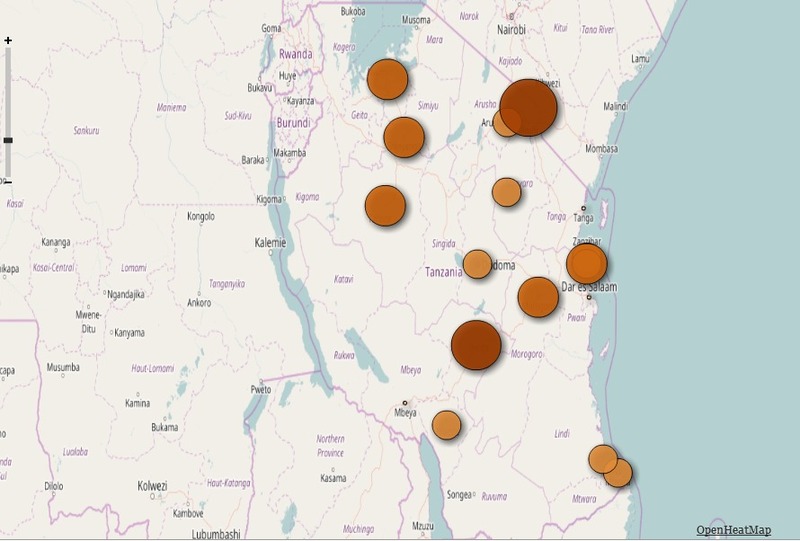 I have also created some visualizations to demonstrate who CARE has reached, and the number of partners projects engaged (located below). In the coming weeks I will be conducting a PIIRS workshop for project coordinators and monitoring and evaluation staff where we will discuss the new FY ’17 PIIRS form in-depth and work to complete them for the necessary projects. 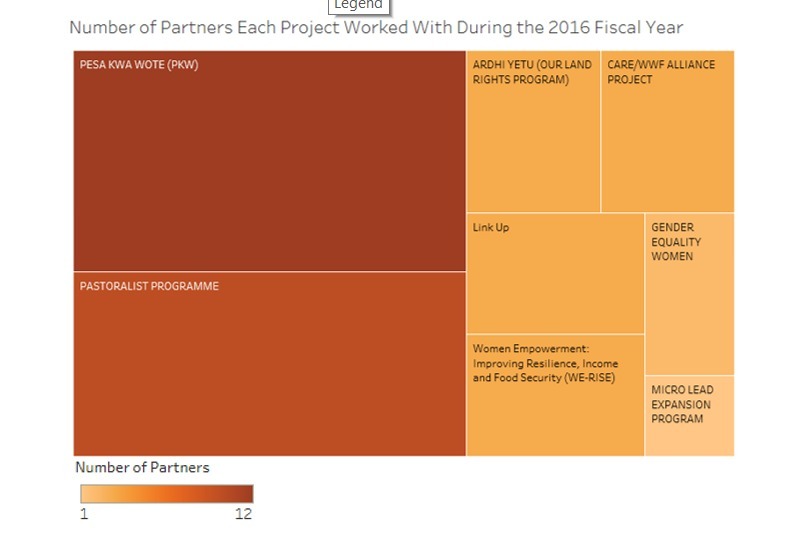 Some obstacles to effective monitoring and evaluation that have been identified include lack of sufficient evidence to support a project’s gender and governance scores and the absence of a uniform method of storing project documents. It has also been noted that it is often challenging to include the CARE global indicators in projects while ensuring that the expectations and needs of the donor are met. Many of these challenges I hope to address during the PIIRS Workshop I will be hosting and I will continue work on identifying solutions. 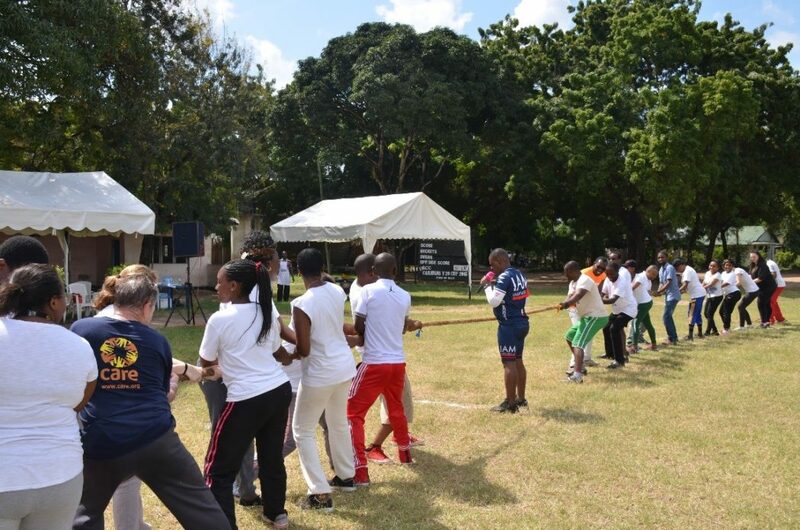 While I came to Tanzania to assist the country office with their needs and work on my own professional development, I have been able to enjoy my time spent outside of the office as well. Weekends have been filled by exploring the quiet beaches and islands away from the hustle and bustle of the city center and enjoying Iftar meals hosted by coworkers. One Friday afternoon we also enjoyed an office sports day to say farewell to the current country director who will be retiring at the end of July. However, my favorite recreational experience so far was a weekend trip to the beautiful island of Zanzibar.